STORMS have been forecast throughout Spain as temperatures are expected to drop, with parts bracing for hailstones. State weather agency Aemet, said polar winds would descend on the country starting today (Monday) causing storms for most of the week and hail in some of the higher altitude regions. 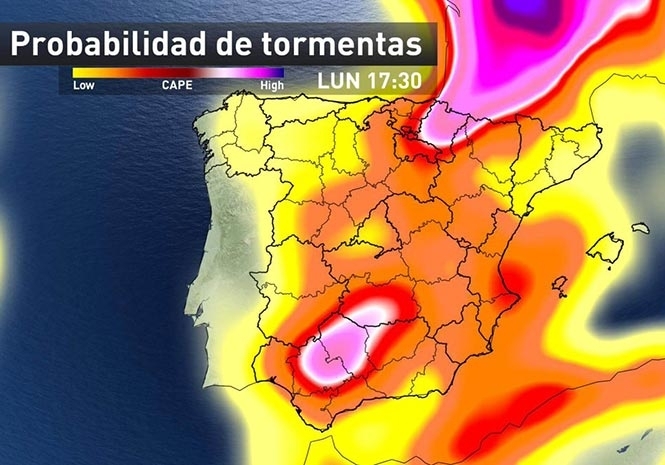 Yellow alerts have been issued in Malaga, Cordoba, Granada, Jaen, Sevilla, Ciudad Real, Soria, Burgos and Caceres. Aemet refer to this out-of-season phenomenon as a DANA – isolated drops in pressure at high altitudes – and expect it to drag rain from western Spain all the way through to the Balearic Islands throughout the course of the week.